One of my favourite things is scouring the globe for the perfect venue for our retreats. Most relevant on my checklist is style, breathtaking nature and authenticity. It’s where you can feel the spaciousness of raw natural beauty on the outside, and delight in stylish interiors on the inside. That’s the perfect blend for ultra relaxation. 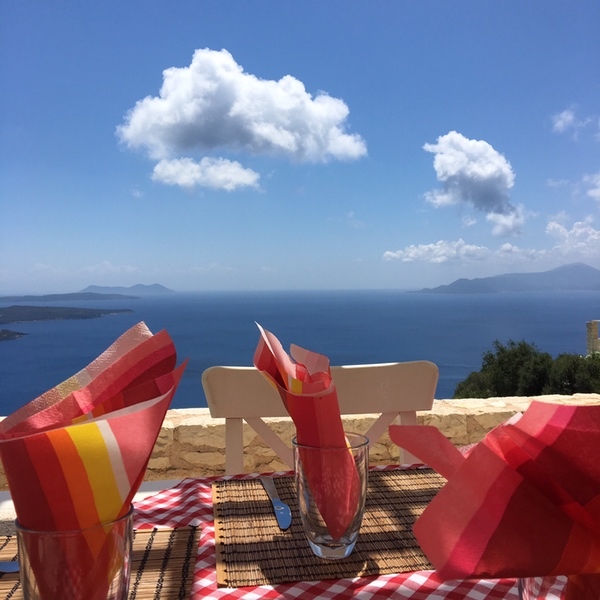 So without further ado I have to share with you my adventure to find our Greek island retreat venue. 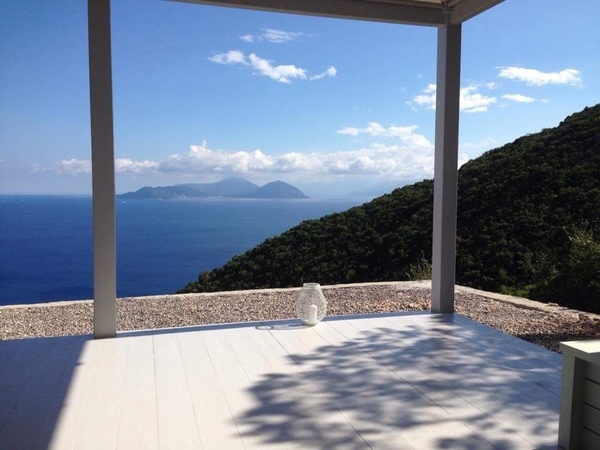 After a punishing work and travel schedule I arrived on the island of Lefkada. It was pitch black as I drove up a cliff-side hill over the Ionian Sea. Then I came upon a white stone wall and I breathed a sigh of relief. I wound my way down the driveway to the shadows of stone villas. Cold and rather worn out, I jumped into a long hot open shower and fell straight into Egyptian cotton heaven for a delicious deep sleep. I awoke the next morning to the most phenomenal view I have ever seen. Streaming through the glass patio doors were the rosy fingers of the Greek sunrise. Before my eyes stretched an endless view of blue sky and shimmering silver sea. High up on a green peninsula plunging down to the ocean, I was in one of four designer villas. Built from the white stones of the land, each was double-storied with balconies and the panorama from every room. I bounded up and down stairs looking out from each room with it’s huge glass doors and wrap-around terraces. The endless sky and ocean below were dotted with green islands like jewels. The west side of Greece is surprisingly green and lush! Under the chorus of birdsong I skipped to the private swimming pool to lounge and soak it all up. This was a dream come true — paradise on earth. I had found my Greek island retreat space. Now my mind turned to where would we meditate and practice yoga? I walked down through wild-flower and rosemary garden paths just beyond the last villa. There I discovered a most exquisite “shala”. Sitting down and gazing into the vast blue I felt centred, calm and at home. The shala was a little jewel, with wrap-around sliding glass doors, a beautiful white interior with billowing linen curtains. This was the vegan lemon icing to my matcha green tea cake.